When we think about being an “influencer,” we usually think of people speaking from stages, beaming out blog posts to thousands of adoring readers, or racking up millions of followers on Instagram. But what if you could influence someone in your next conversation? The barista at your favorite coffee shop. Your mom. Your team members or colleagues. A stranger on Facebook. Here’s the thing we usually don’t consider: Influencers don’t just beam out proclamations from mountaintops. They’re on the ground with their people and their customers every day, learning what makes them work, what they value and what the need most. 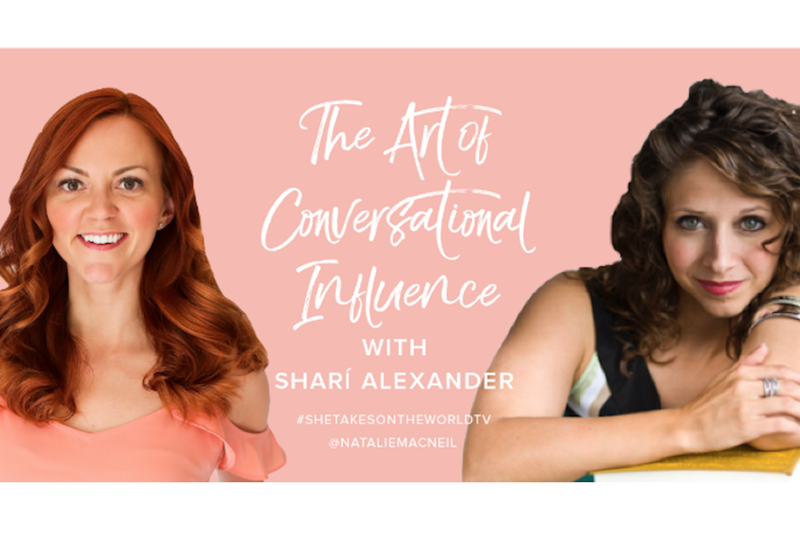 Sharí Alexander joined me to give you some fantastic tips on learning to connect more deeply with anyone you speak to, so you can have more consistently positive, informative, and impactful conversations everywhere you go. She believes it’s not about what you say when you walk into a room. It’s about knowing the right thing to say, to the right person, at the right time, based on what you learn about them in the moment. While she was formerly a speech and presentation coach, she’s now turned her focus to training entrepreneurs on the gift of the gab — including tips and tricks she’s learned from ex-CIA agents and con artists. Values: What do they like and dislike? What drives them? What do they care about? Identifiers: Who do they think they are? How do they label themselves? Beliefs : What stories do they believe about themselves, or the way they handle problems? What do they believe about someone you? Emotional triggers: What puts them in a positive or negative moods? Secret goals and desires: How do they envision themselves in the future? Who do they want to be? How do they want to be perceived? Flex your observation muscles by writing down a character’s V.I.B.E.S. a soon as the episode ends (don’t wait ‘til tomorrow! You’ll forget!). The goal of this challenge is to help you start to notice these V.I.B.E.S. in everyday interactions, in the real world too, so you can learn more about how people operate, what they need, and how you can help them and build a strong rapport. I’ll be doing the same! So don’t forget to update me on your progress on Instagram and Facebook.